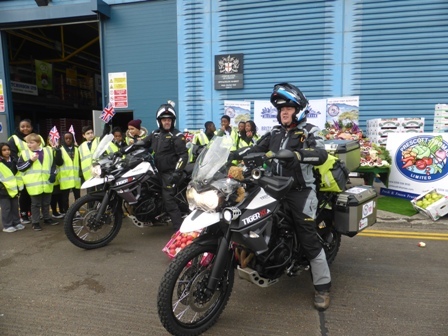 At the National Fruit Show in October, Max MacGillvary displayed a Triumph Motorcycle on which he will travel from Bury St.Edmunds, via New Spitafields Market, through Spain and from North to South Africa Africa, before finishing in Capetown. 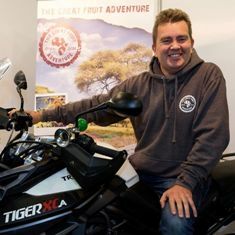 The venture is titled; The Great Fruit Adventure - Max MacGillivray is by day a recruitment specialist: Max founded Redfox in 2002 with the sole aim of specialising in mid-management to board level recruitment for the Fresh Produce, Agri-Business and Food Retail sectors. A graduate of Harper Adams, Max's background includes working as a trader in the grain sector and time at the National Farmers Union. With an enviable track record in successfully placing top-level candidates - including Chief Executives - for UK and international blue-chip businesses, Max and the Redfox team enjoy a proven reputation for excellence in finding talented professionals for their global client base. As a recognised industry speaker on the Fresh Food, Agri-Business and Social Media sectors Max is much in demand for events in the UK and Internationally. He is also the Founder of The Great Fruit Adventure - Africa which is looking to make kids and their families more aware and to consume more great fresh produce. Max is the founder of The Great Fruit Adventure. He is passionate about great healthy food and has an extensive background in Farming and Fresh Produce. His day job is running a recruitment and training business with a great team sourcing and training people for fantastic food business in the UK and Internationally. 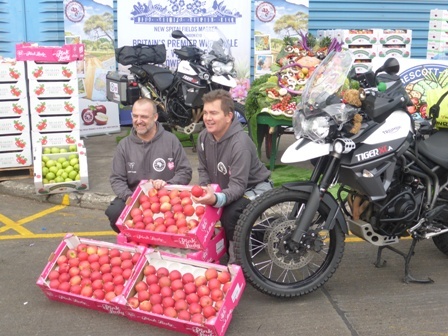 Having planned the trip for the past three years, Max wanted to create an event that would make a difference to kids and their families by promoting the virtues of fresh food and healthy eating. Follow him and follow the ride. 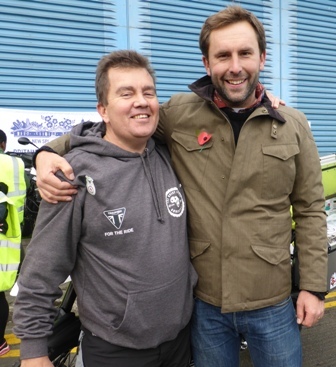 Gareth has been riding a variety of motorbikes all of his adult life and has toured extensively around Europe for the last 25 years. 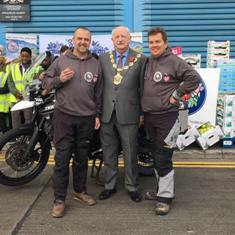 His great claim to fame is that in 2015 he completed a 6 month 21,000km solo ride around Southern Africa on a 1951 Harley Davidson! He is passionate about the dairy sector and runs a milk delivery company with his brother that was started by their grandfather in 1928. Still an independent business they proudly deliver milk to over 3000 customers in the Vale of Glamorgan and still in the traditional electric milk floats. 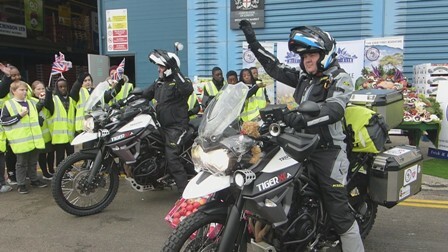 So with petrol, milk, and African dirt in his veins, Gareth is looking forward to travelling across Africa again (!) and meeting the fascinating people, growers and producers of great fresh food. "Upon learning that six out of 10 UK children have not a clue where the fruit and veg in their diet comes from, and after reading figures from the World Health Organisation which showed that in 2013, 5.2m deaths worldwide were a result of inadequate consumption of fruit and vegetables, we were inspired to plan an adventure which would both provide us with a story we could tell at visits to schools and colleges, and which would allow us to raise money for a number of African charities. "I want to tell the story of the fantastic places where our fruit and veg is grown and the people who grow it to help young people understand that it doesn't just magically appear on the supermarket shelves. "It's going to be an epic and challenging journey. 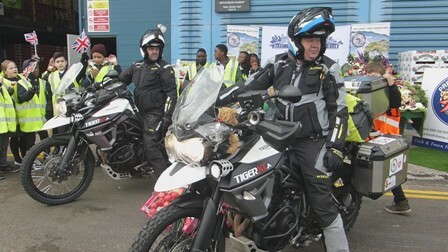 I have ridden motorbikes on farms in the UK and Australia but not on such an extensive trip, which is one of the great challenges. " "What we now need is for people to support us, help us to organise and plan the campaign and allow us to do the work to bring the message to schools in the UK and Internationally when we get back." The English Apple Man joined the Under 40's Chairman Charlie Dunn & Vice Chairman Paul Hamlyn who will be in South Africa for the 2017 U40's Conference and welcoming Max and Gareth when they arrive in Capetown in February. 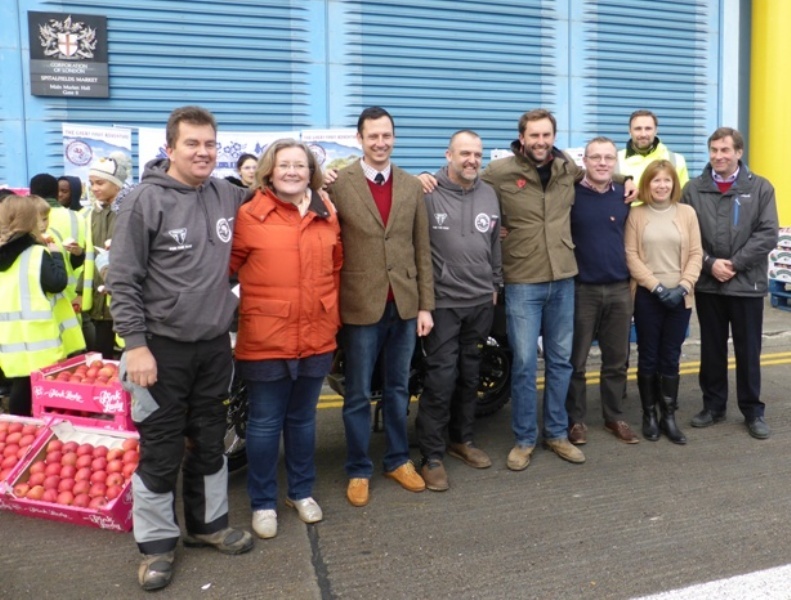 Also present; Sarah Calcutt - Chair of The National Fruit Show - Tommy Leighton MD of The London Produce Show, Chris Hutchinson Chairman and Janet Hutchinson CEO of the Spitalfields Market Tenants Association. In late February, The Under 40's will be in Capetown visiting fruit growers, packers and associated businesses as the first Southern Hemisphere U40 Conference takes place. This will be a very special occasion as it will be 50 years since the very first Under 40's Conference in 1967. Follow Max and Gareth on their website: The Great Fruit Adventure as they journey through Spain and Africa over the next 3 months. 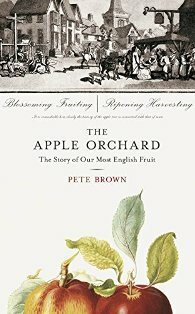 Pete Brown is a British writer who specialises in making people thirsty. He is the author of eight books and wrote the annual Cask Report for its first nine years. He writes numerous articles in the drinks trade press and consumer press. 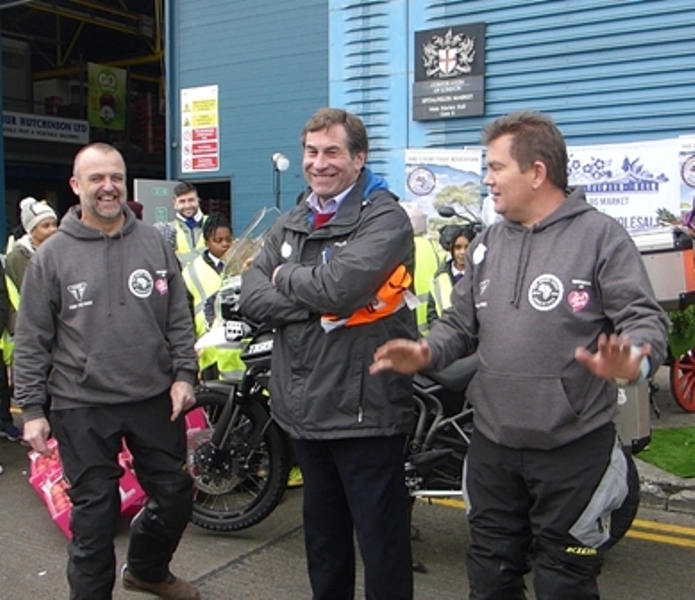 He appears regularly on TV and radio, and has judged the BBC Food and Farming Awards and the Great Taste Awards. He's a member of the British Guild of Beer Writers, and was named Beer Writer of the Year in 2009 and 2012. More on The Apple Orchard next week!